Everybody now: “‘Tis the season to be basic, fa la la la la!” It’s fall, where boots, leggings and leather jackets are part of the daily uniform (Hans Solo vibes). It’s the time where everything and anything is pumpkin spice-ified. Just because we can, doesn’t mean we should. However, we live in a world of unicorn toast and gold flake-encrusted burgers, so pourquoi pas pumpkin? For many, fall means bright foliage, brisk weather and goodbye-summer-bod food. But for food manufacturers, it’s an opportunity in the form of engineered orange flavor: pumpkin spice. 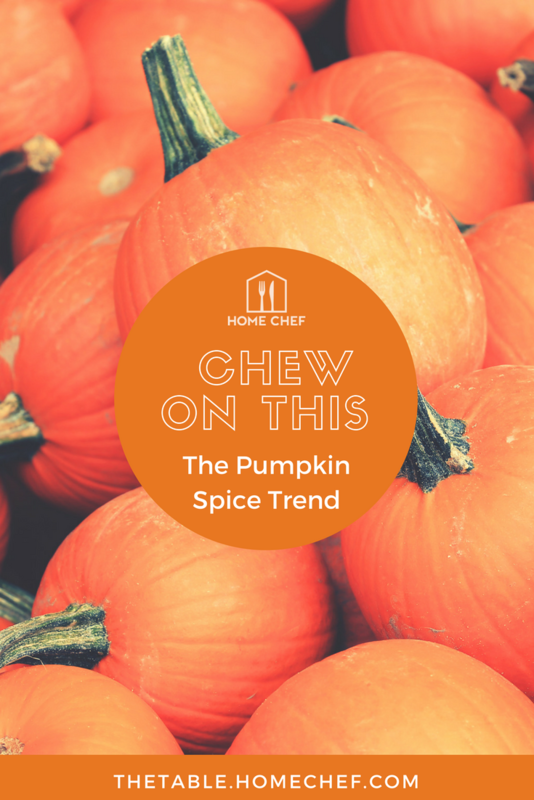 From cough drops, to milk’s favorite cookie, pumpkin spice continues to dominates the aisles once there’s a chill in the air. The reason? Sales. In 2015, pumpkin spice product sales reached more than $500 million, according to Forbes. That’s like, 100 million pumpkin spice lattes, or PSLs. However, with the market for pumpkin spiced-everything being so saturated, some speculate that we have hit “peak spice”. In turn, companies such as Starbucks, whose most successful seasonal drink is the pumpkin spice latte, have started launching their pumpkin products earlier and earlier every year in order to compete. Because of this, the holiday product industry “creep” will follow the same cadence each year for nearly every holiday; think Valentine’s Day, Christmas and Easter. We might soon live in a world where PSLs are available in July and Easter Bunny Marshmallow Peeps can be consumed in January (for the super fans that actually buy them). No longer will we turn to Copernicus’ discovery of season’s beginning and end, we will instead turn to food trends to tell us what’s next. However inedible the orange-hued cash cow seems to be, consumers are keeping the industry alive and prolific. It’s reached such a main level of ubiquity, that PSL haters would have to enjoy it in secret, like all other questionable-at-best guilty pleasures.. Our stance? We say go for it. Enjoy the sweater weather, with a PSL in hand while the pumpkin spice season is in full swing.